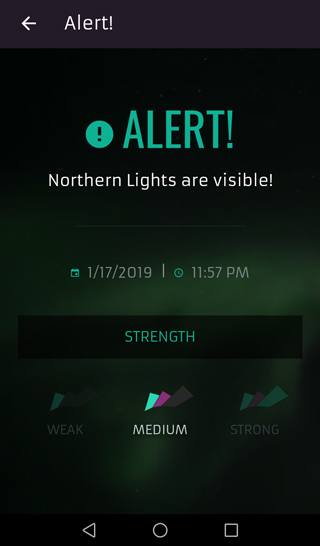 Receive an alert when the Northern Lights are really visible!  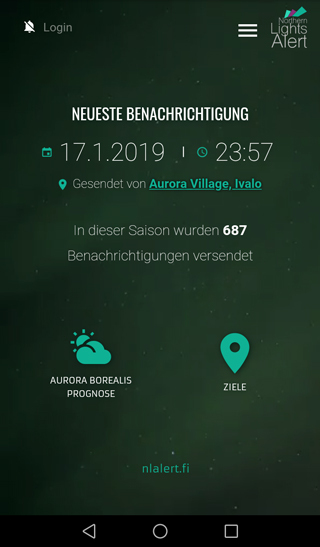 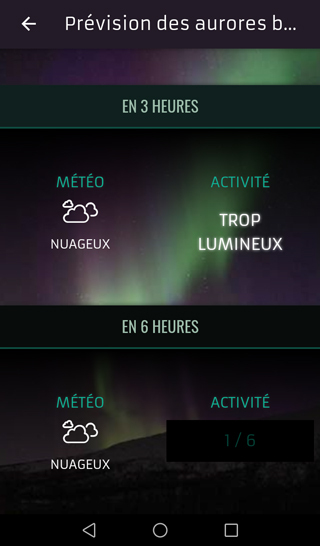 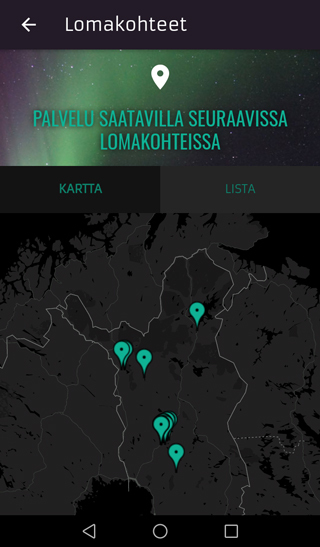 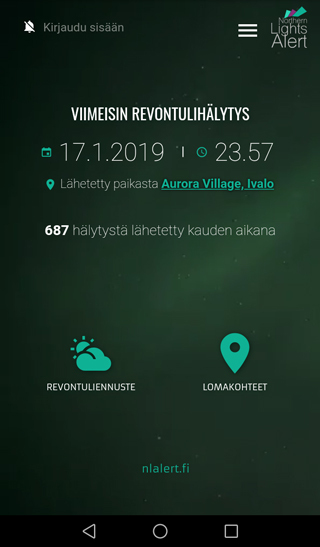 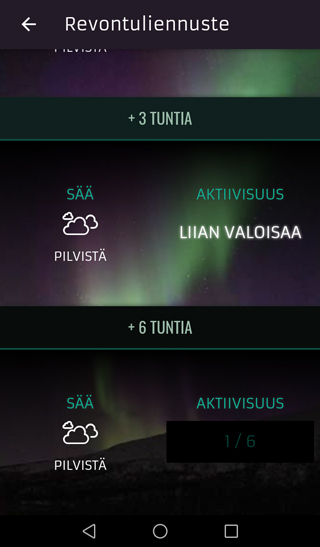 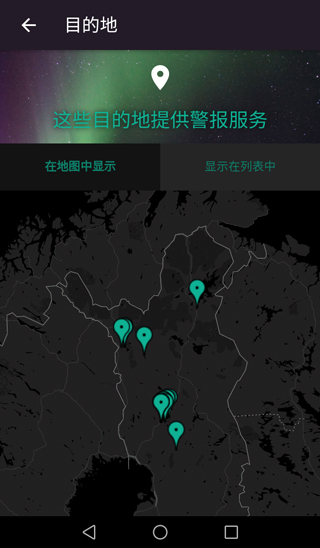 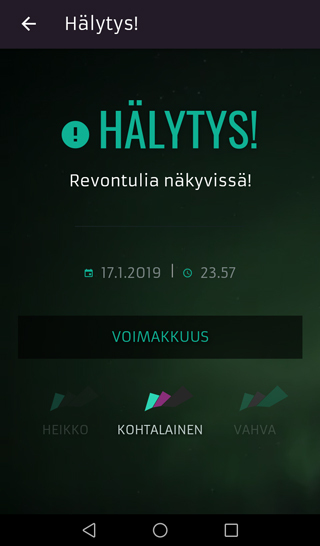 Northern Lights Alert App works in Rovaniemi, Levi, Ranua, Muonio and Ivalo! 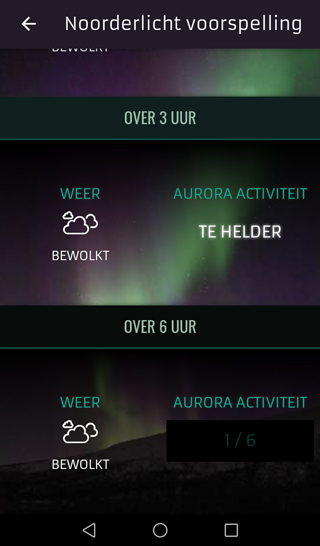 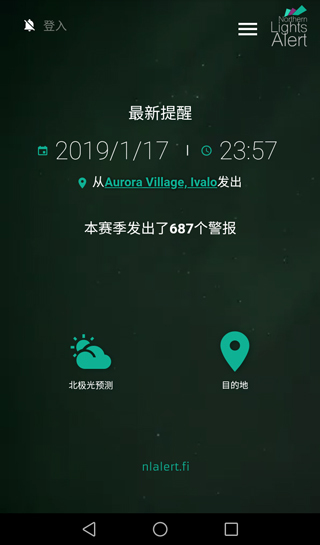 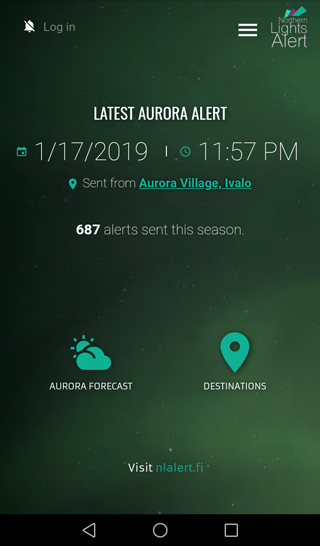 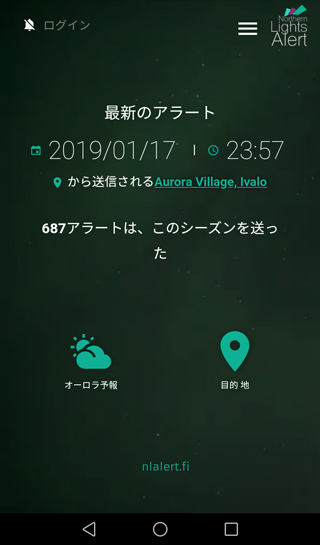 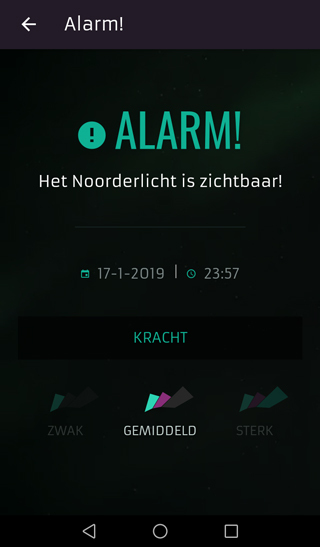 Alerts are based on real-time aurora detection! 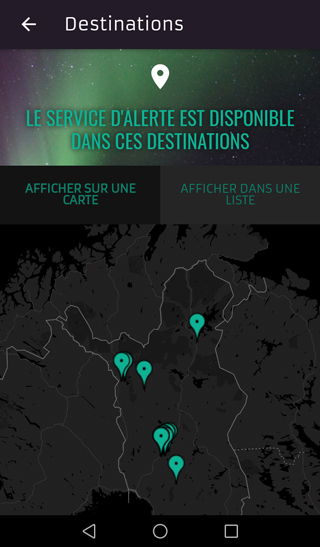 The app alerts you when the Northern Lights are visible in the sky! 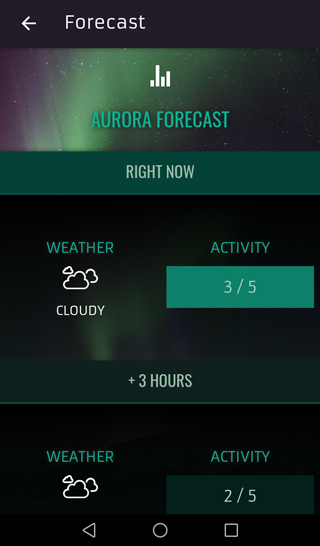 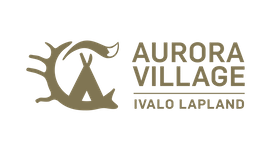 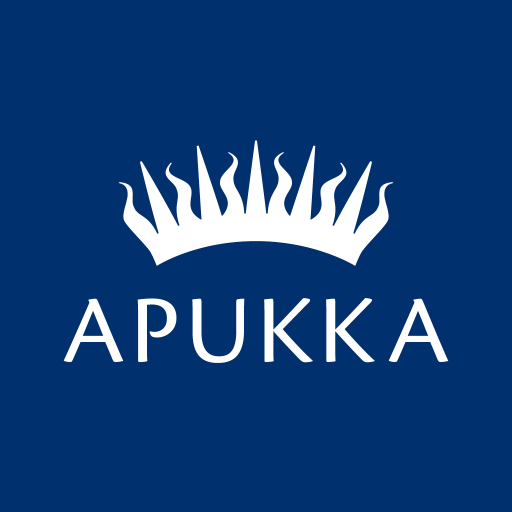 The app utilizes our own aurora sensor system which detects the Northern Lights (Aurora Borealis). 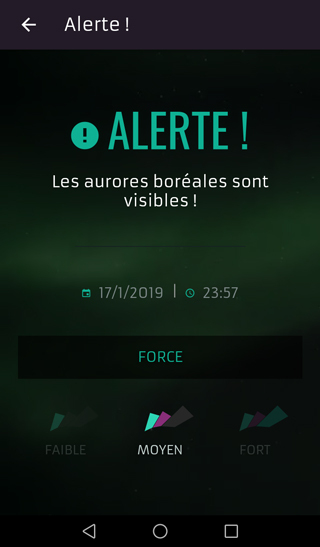 When the phone receives an alert, you will see the strength of the Northern Lights, also the exact date and time when the alert was issued. The app has also its own unique alert sound which is hard to be missed. 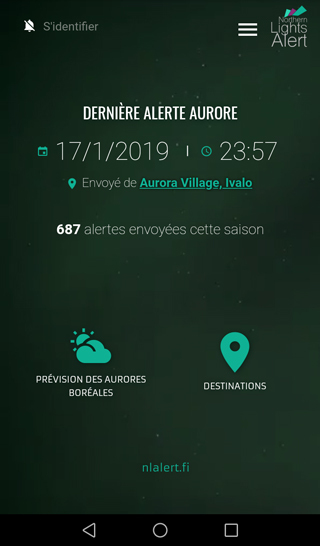 The app has also a 6 hour aurora activity & weather forecast so you can be prepared when there is high solar activity going on. 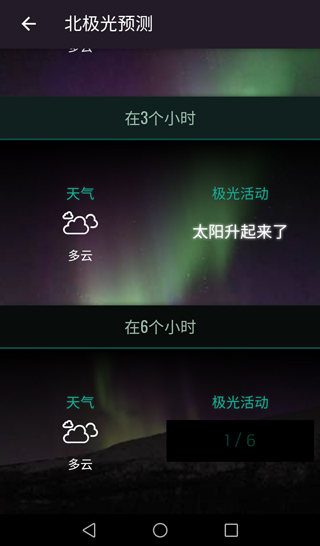 However, the Northern Lights can still make sudden appearings even when there is low activity at the moment. 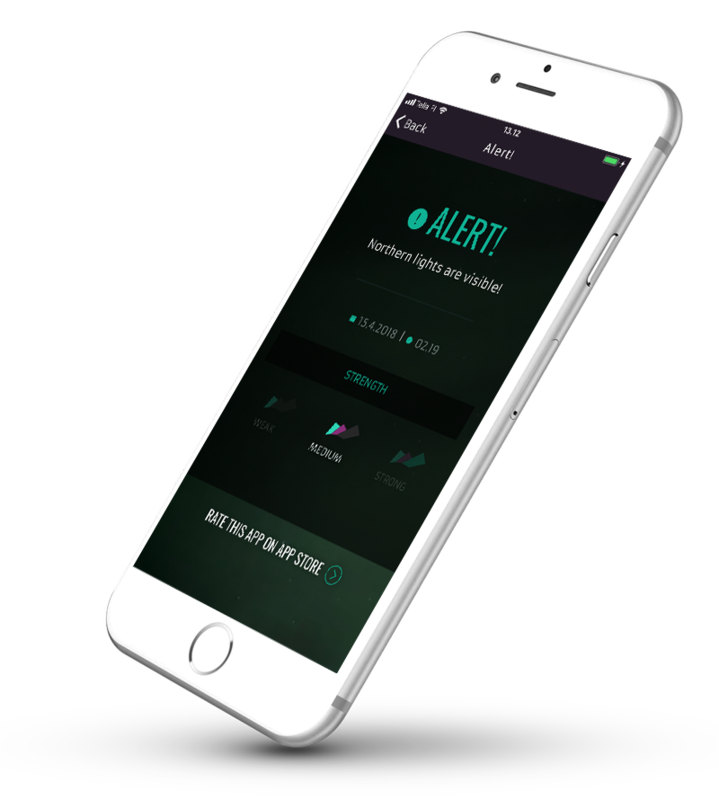 You'll need a login key to receive alerts. 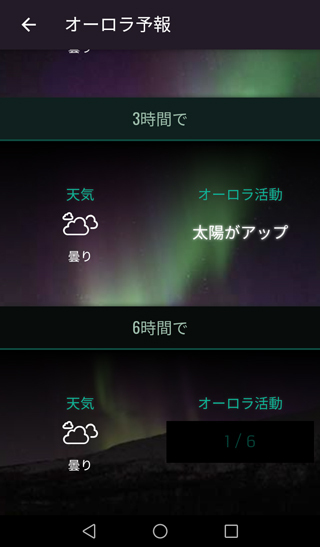 A login key is tied to a destination and you'll receive alerts from only one destination at a time. 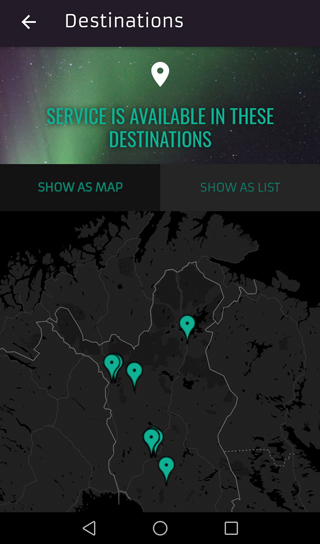 Scroll down for a map of destinations. 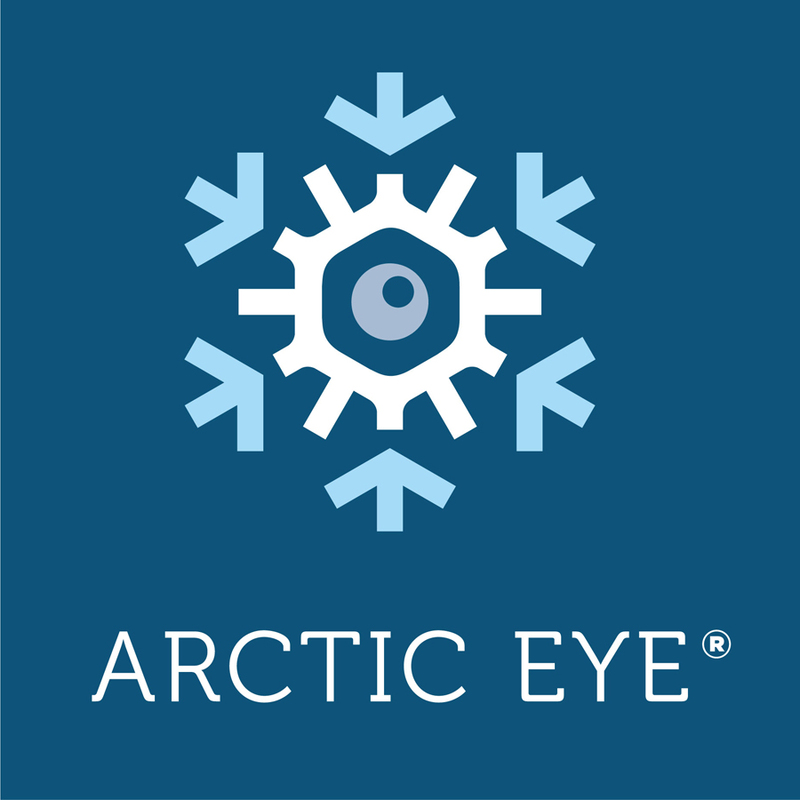 The app uses our own sensor system which detects the Northern Lights (Aurora Borealis). 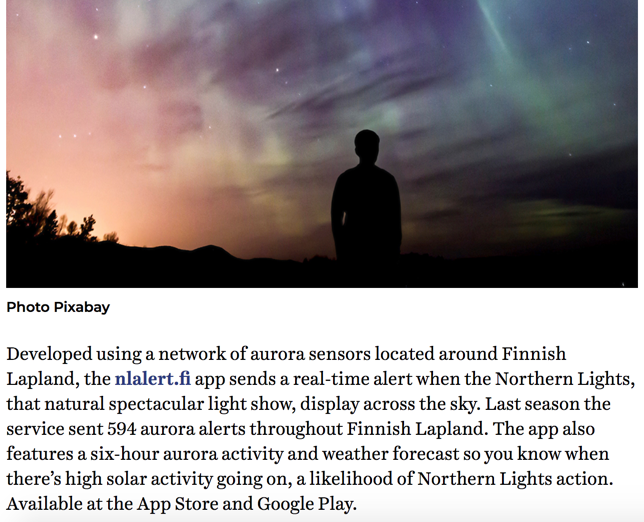 The sensor system will inform the app in real-time that the Northern Lights are visible. 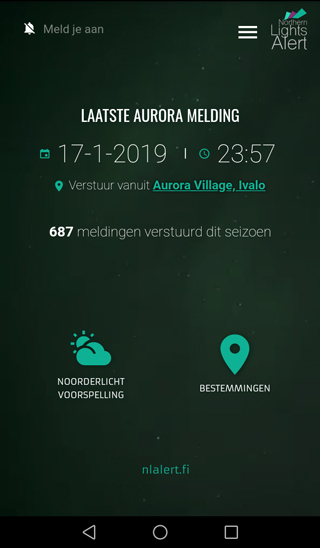 "It works like a clock!" 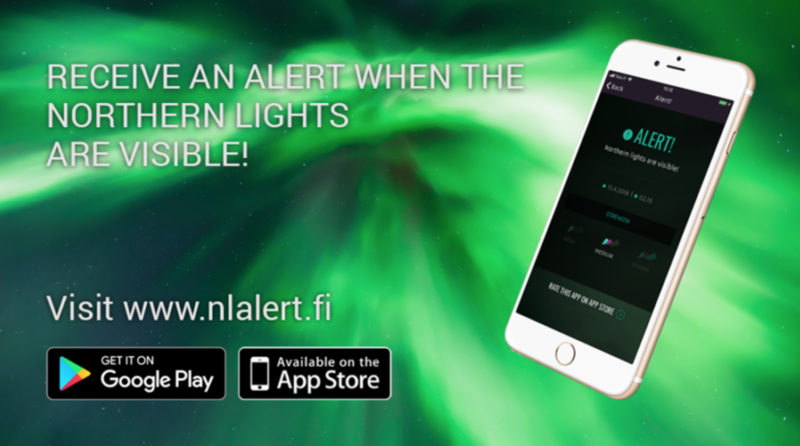 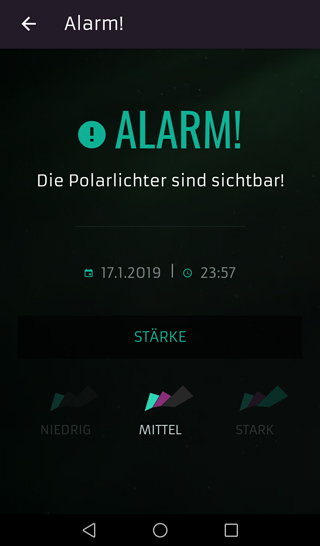 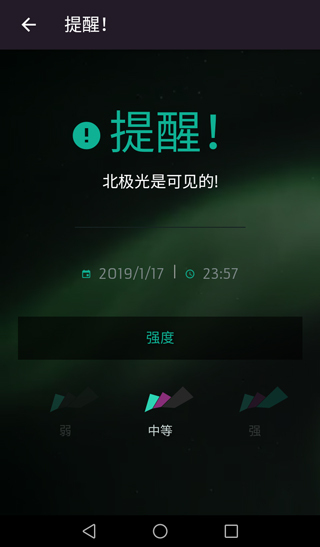 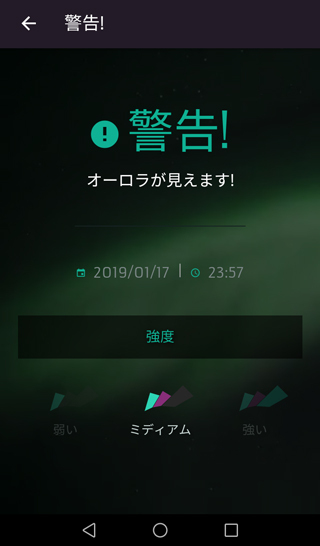 You will receive alerts by downloading the Northern Lights Alert app and purchasing a login key! 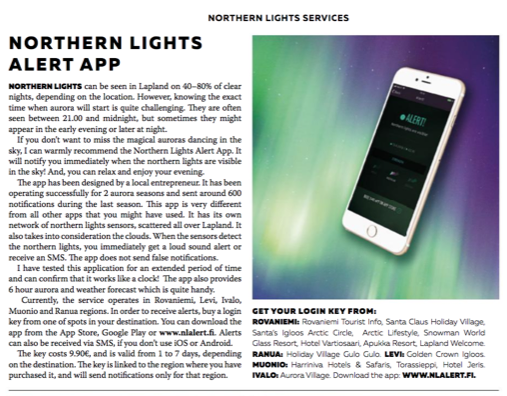  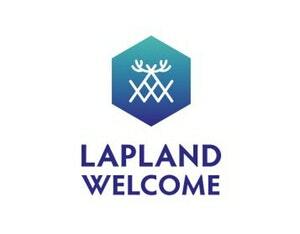 Article in All About Lapland Magazine, Winter 2019, Page 19.